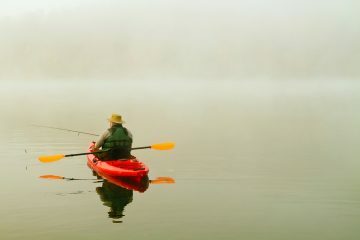 Are you ready to take your kayak out for a spin at your favorite fishing hole, but don’t know where to start? We believe in the old saying, “Where there’s a will, there’s a way.” Kayak fishing rigging is one of those things that takes some time, ingenuity and a little bit of knowledge (which we’re happy to supply). Whether you have a fishing-specific kayak or simple sit-on-top, there are tons of modifications available to make your day on the water more productive. Here at The Adventure Junkies, we strive to point you in the right direction as you shop for outdoor gear. 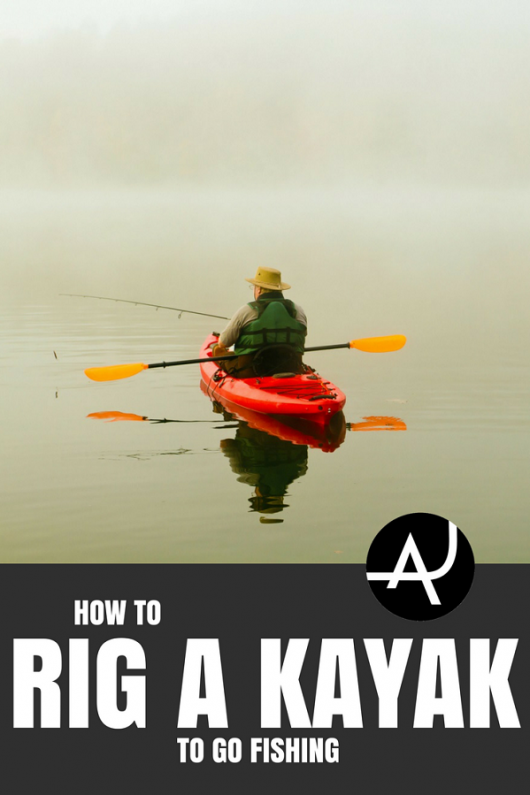 In this guide, we aim to tell you everything you need to know about how to rig a kayak for fishing. 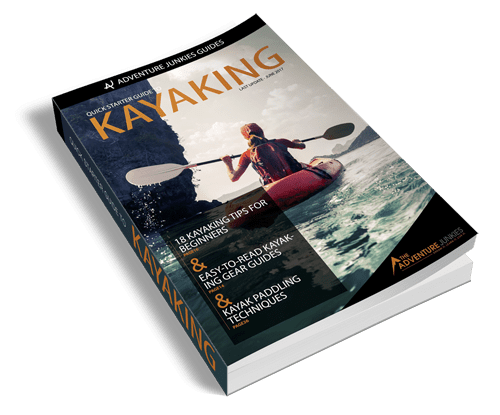 While there are many types of kayaks available, let’s pretend there are only two for the purpose of this guide, namely, fishing specific kayaks and other (general) kayaks. 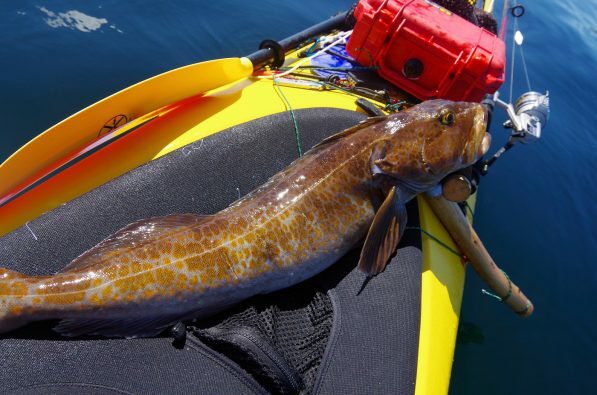 A fishing-specific kayak is built to incorporate the storage of fishing gear. It is equipped with rod holders and meets additional stability requirements. 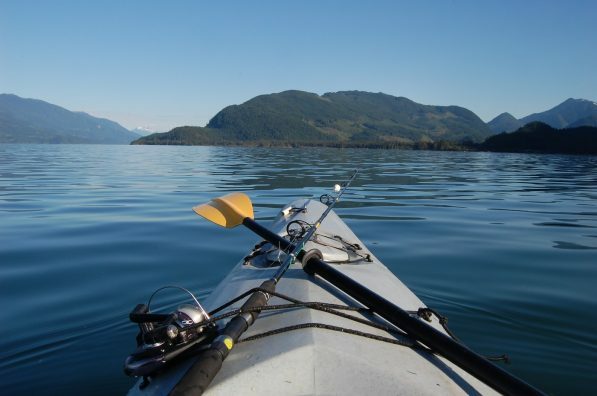 If you don’t have or don’t intend to buy a fishing kayak, we can help you add fishing modifications to another kayak. 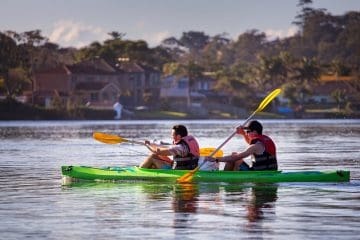 We must stress the importance of using a sit-on-top kayak though. Kayak fishing introduces external forces and a higher risk of capsizing. Should that happen, sit-in kayaks are bound to fill with water and sink. Meanwhile, sit-on-top kayaks will not sink and are easy to re-enter. The Inuit, Aleut and Yupik are the native Arctic people thought to be the first to use kayaks. They stretched animal skins over handmade frames of wood or whale bones and used their boats for travel and hunting as far back as 4,000 years ago. If we fast forward to modern times, we see that recreational kayaks became popular worldwide long before the innovation of fishing kayaks. To accommodate for insufficient design features, the fishermen got creative and the kayak fishing crate was born. The basic idea is to take a milk crate and attach it securely in the tank well of your kayak, which is the triangular/trapezoidal storage area directly behind the seat in a sit-on-top kayak. PVC pipes are attached on the back of the crate to be used as rod holders. You can make your own kayak crate or simply purchase a kit. The YakGear Kayak Angler Kit will come with everything you need including installation directions and some accessories. Many sit-on-top kayaks today are made with slide tracks in the tank well to hold fishing crates, as seen in the Perception Pescador. Don’t leave shore without a kayak fish finder. Otherwise, you may end up spending half of your day in the wrong spot, just… hoping. A great fish finder, such as the Garmin Striker 4, will save you from wasting time and can read up to 1600 ft below your kayak. Some fish finders are smartphone enabled, allowing you to place the device in the water and read the results on your phone. For onboard systems, you’ll also need a fish finder mount. Some opt for a transducer deployment system that allows you to move the fish finder out of your main working space on a swing-arm. When your fish finder reads a large school below your kayak, you might want to park it. Unfortunately, staying put in a kayak is more complicated than it may seem. First, check out your options for the best kayak anchors. Next, you should have an anchor trolley which is an adjustable line that acts as an extension of the anchor. This allows you to change the angle the kayak is sitting in relation to the anchor. Wind and waves can push your kayak into sub-prime positions, inhibiting your ability to cast where needed and putting your kayak at risk of capsizing. Anchor trolleys can be purchased or easily made at home with a short list of inexpensive materials. Lucky for you, YakGear made an informative video that shows how to install an anchor trolley. The video below shows how to use an anchor trolley while fishing. Nothing great, except perhaps the cosmos, ever came from chaos. We know from experience that things can get messy quickly without the proper means to organize lures. A good tackle box or tackle bag is a must-have on the water. Some allow you to organize lures by sets in individual plastic cases like you would in a filing cabinet. Be sure to arrange the cases so the most used lures are immediately accessible on top or front part of the box or bag. If you intend to use live bait, look for a fishing kayak that has an onboard live well. 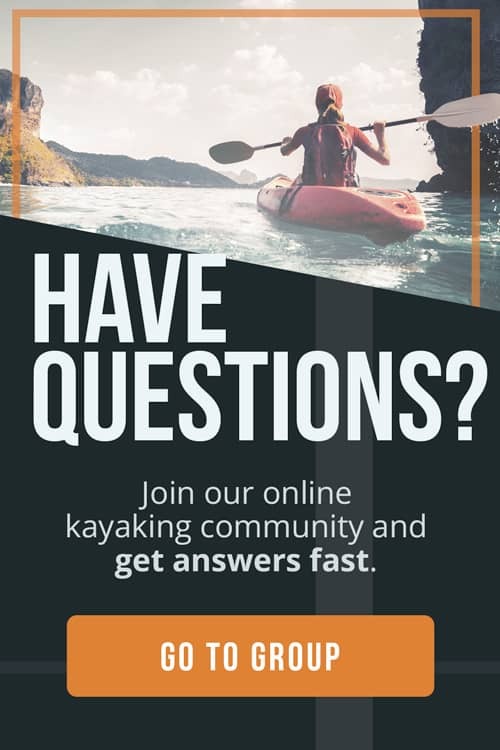 If your kayak does not include a live well, you can make your own or purchase one online. If DIY projects aren’t your thing, we recommend the Hobie Kayak Live Well. Bait buckets can be used as well, but your bait will not stay alive as long without aerated water. Hang the bucket overboard when you can. If you intend to purchase dead bait and cut it into pieces, you’ll need a bait board which is essentially a mountable cutting board platform with some extra bells and whistles. Once you catch a fish, we recommend using a fish grip to gently clasp its mouth while you remove the hook with a dehooker. Look for a grip that doubles as a scale. That way, you can simultaneously hold and weigh the fish while you snap a photo to show your friends. Remember, social media now demands pictures or it didn’t happen. Fish can feel minute vibrations through their skin. If you’ve ever been fishing with a friend that unintentionally scares away any fish within 50 feet with their lunchtime cooler-slam, you know why staying quiet is key. A number of manufacturers, such as SeaDek, sell foam pads to fit a variety of kayak brands. These stick-on pads reduce unwanted noise and add traction to your kayak deck. Let’s face it. You only have two hands. Wouldn’t it be nice to use those hands for fishing instead of paddling? Typically, kayaks are not designed to accommodate trolling motors but luckily, innovation never fails to come through. The 12-V battery-powered Skimmer Kayak Motor provides 17 lbs of thrust for kayaks 12 ft and under. The Skimmer II provides 24 lbs of thrust for kayaks over 12 ft. Quietly cruise at up to 2-6 mph without missing a beat. Another great option is an onboard pedal system like the MirageDrive 180 by Hobie. This revolutionary design weighs only 8 lbs and allows full-power forward and reverse movement. It is driven by two under-kayak fins attached to foot pedals in your kayak. The after-market system is removable, but Hobie also sells pedal kayaks with the drive built-in. As long as gravity is still in effect, we highly recommend tethering anything remotely important to your kayak with a gear leash. This includes fishing poles, electronics, tools and gear bags. You can buy gear leashes online or make your own for much less. Your trusty paddle can also be secured with a gear leash if you like, but know that they do float on water. What’s more important is a paddle clip, also known as a paddle holder or paddle park. It’s useful for securing your paddle to the side of your kayak, instead of resting it on your lap while you fish. As always, the most important piece of safety equipment is your personal flotation device (PFD). Check out our guide on the best kayak fishing PFDs. A vest that not only keeps you afloat but provides extra storage or some lash tabs will go a long way to keep your kayak free of clutter. Many states require stern lights on all vessels. As a kayaker, you will sit very low in the water compared to boats so this is an especially important point. West Marine offers a great selection but if you are looking for a quick weekend DIY project, you can build a stern light for under $2. For added visibility and peace of mind, feel free to attach a few battery-powered LEDs to the bow and both sides of your kayak. Remember to pack all the fishing tools you may need (pliers, pocket knife, nail clippers, etc. ), a marine VHF radio, air horn, sunscreen, bug spray, a wide-brimmed hat and polarized sunglasses. Make a list and double check it.